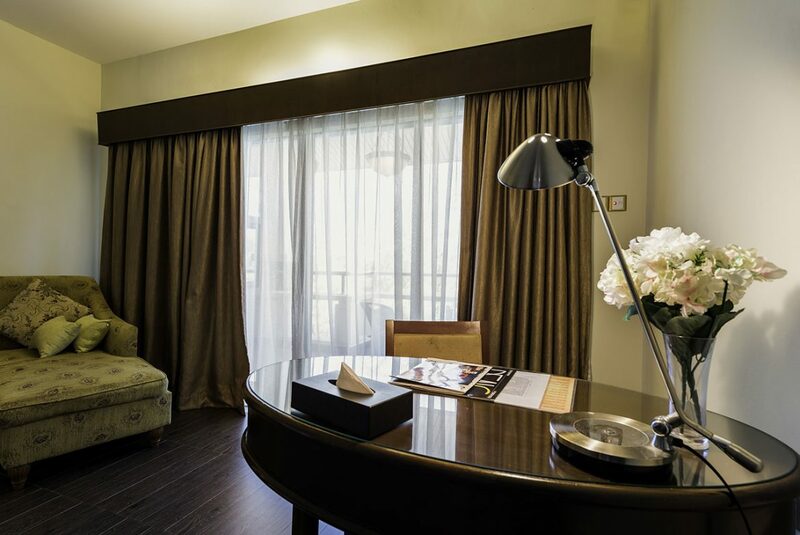 100 deluxe rooms and suites are elegantly furnished, offering a unique style décor with a double or twin bedroom and a Cleopatra sofa. 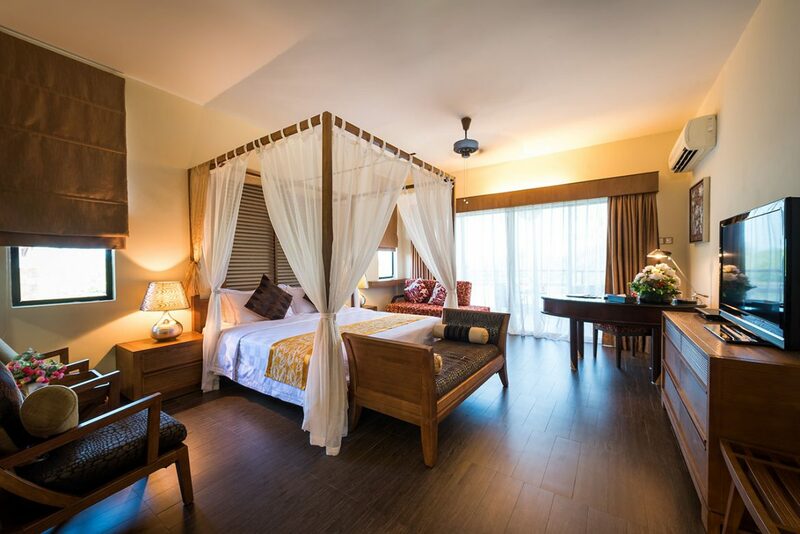 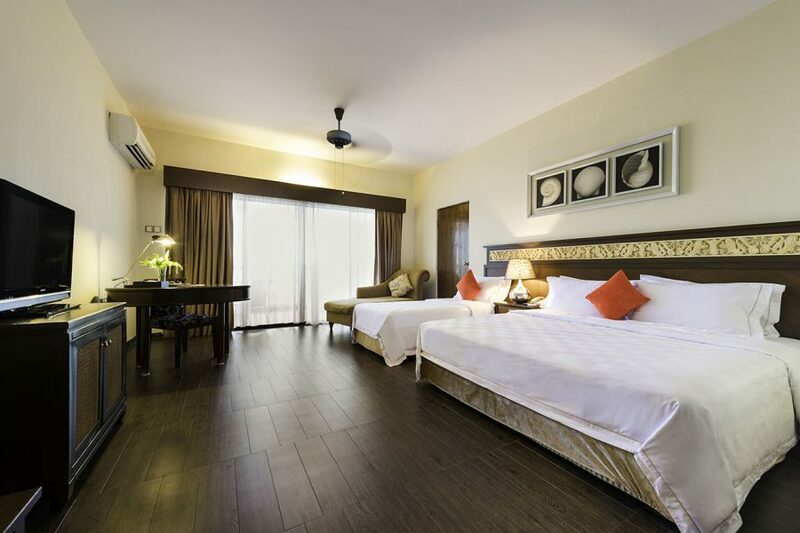 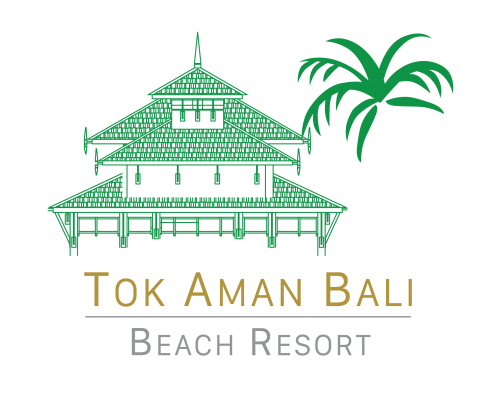 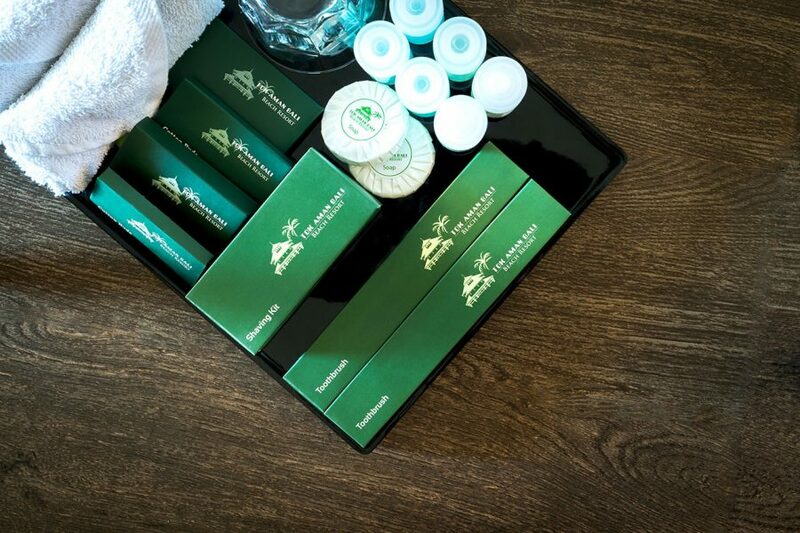 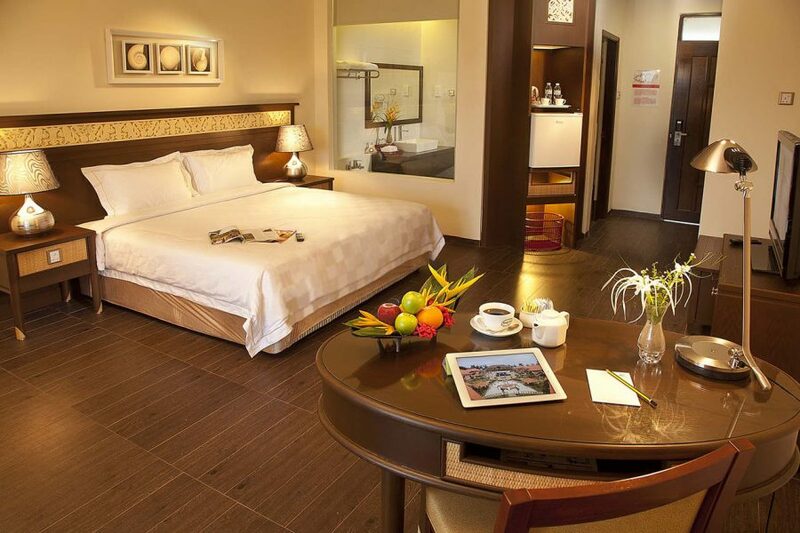 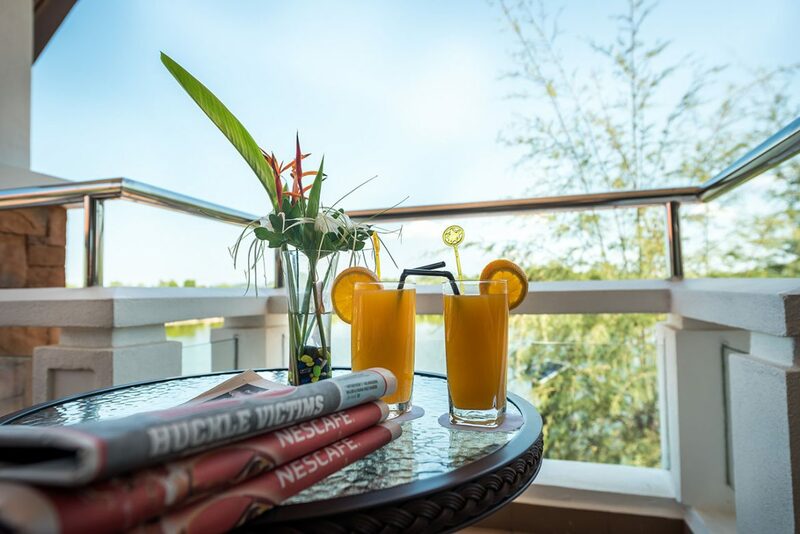 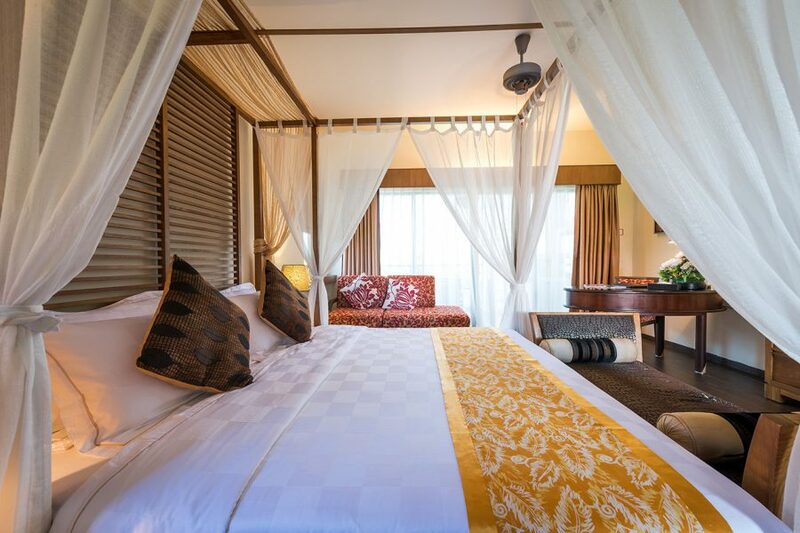 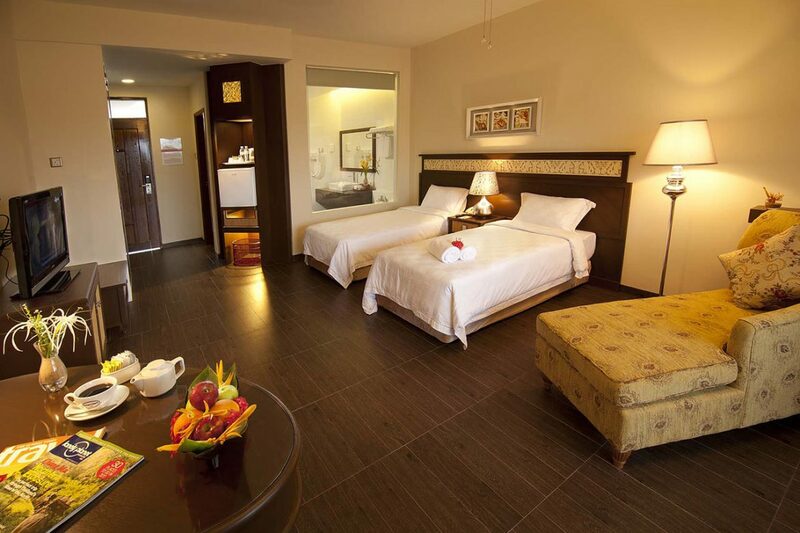 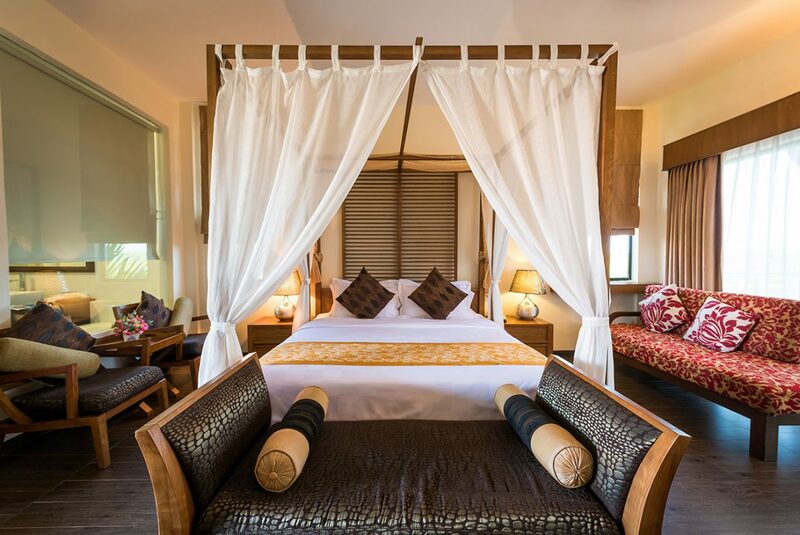 For maximum comfort of our guests, we offer four types of room namely Deluxe Room (Double/Twin), Deluxe Triple, Deluxe Family (connecting rooms) and Suite. 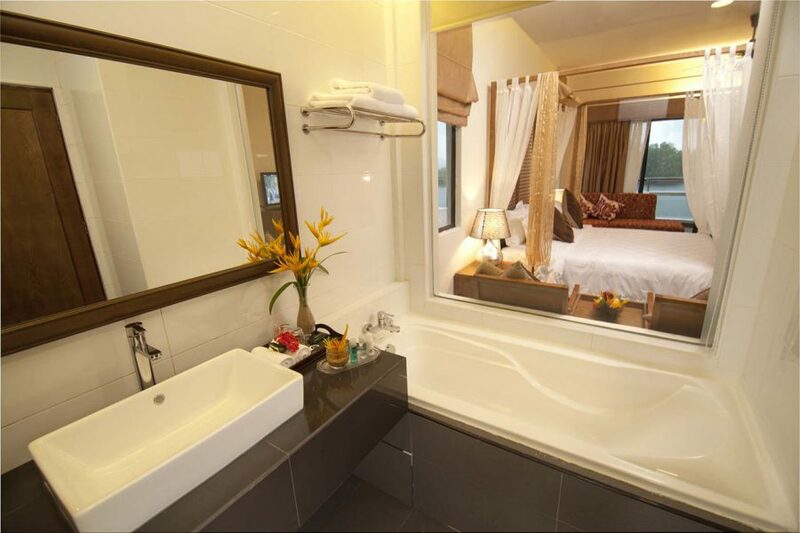 Each room (30 square meters) features spacious indoor bathroom with individual shower and bathtub that overlooking the bedroom. 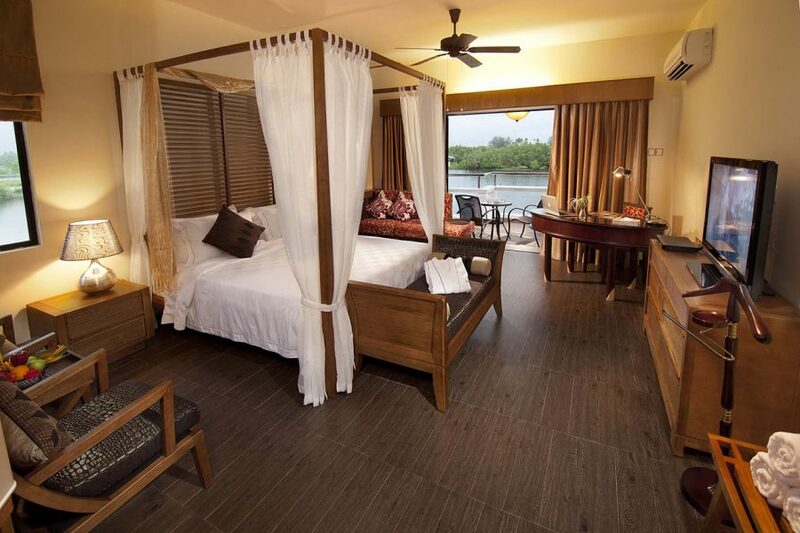 All rooms are facing the natural lagoon with a serene surrounding.